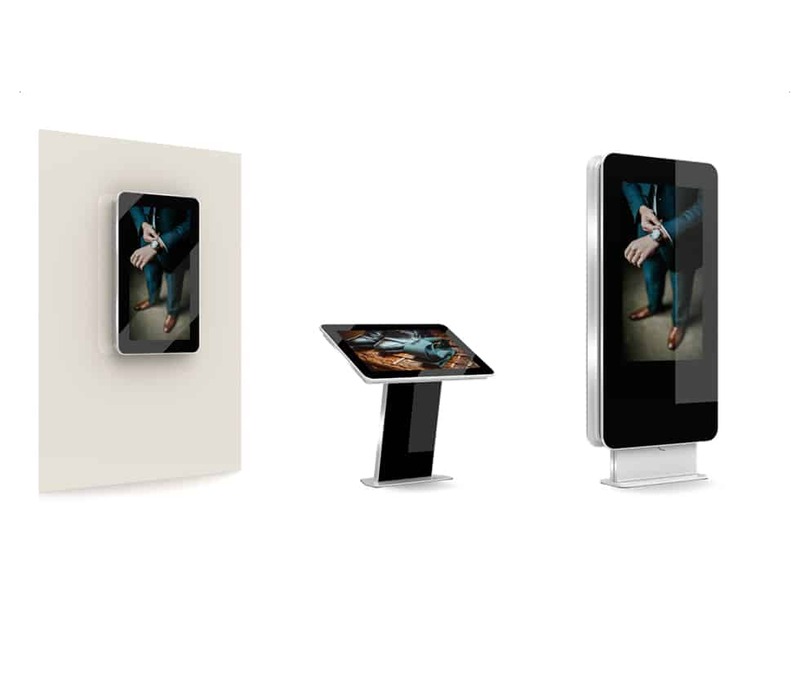 When access to power is no issue, Design Science has a diverse range of AC powered display options for a variety of retail, public and business environments. You can buy commodity totem and podium displays from overseas, but Design Science products deliver aesthetic quality and careful attention to detail. 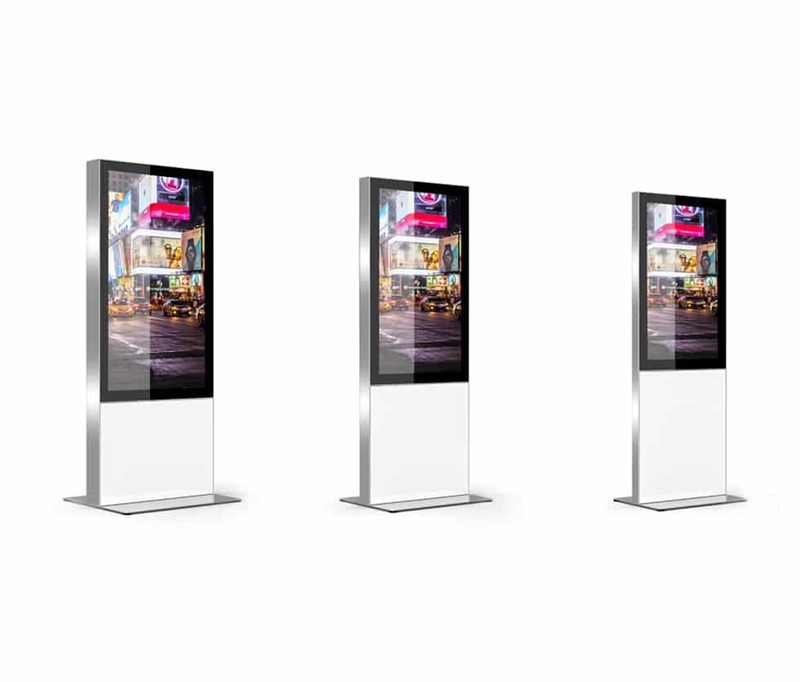 Here are just some of the options for always-on, conventionally powered displays. 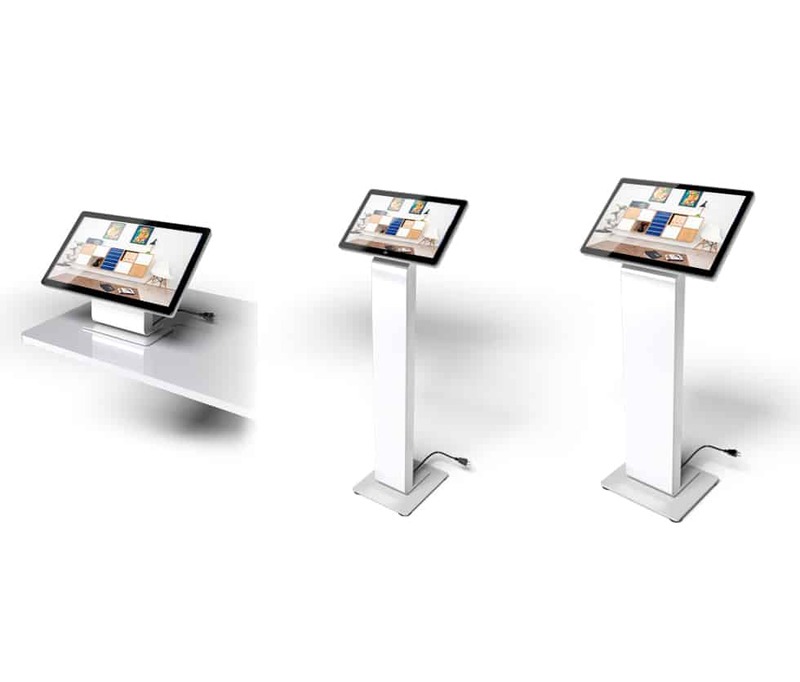 Tall, minimalist display totems designed to suit almost any environment, with a sturdy base that’s ready for re-positioning. Use as digital posters, directories or other types of messaging. 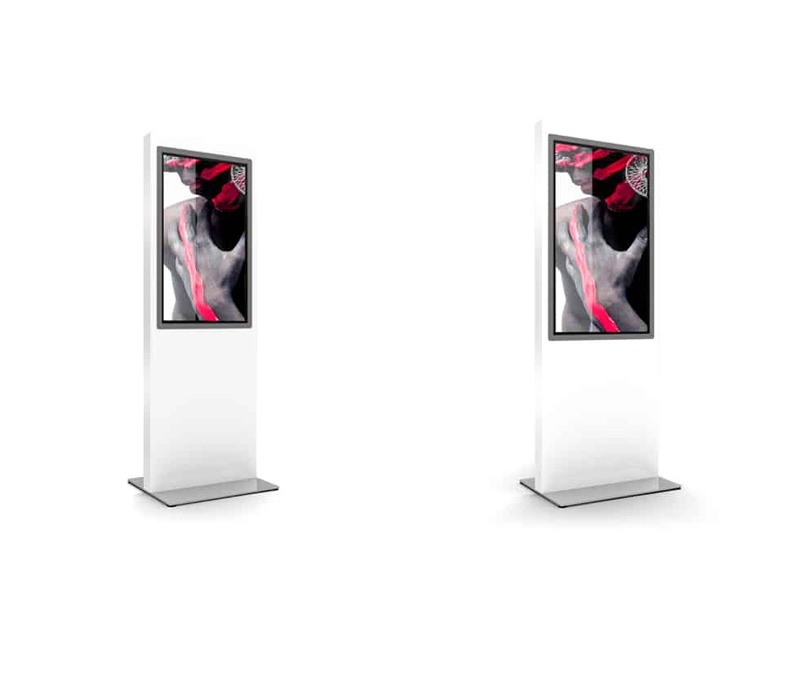 Sleek display totems that will suit almost any environment, and flexibly designed to meet varied use cases. Fit a display on one side or both. 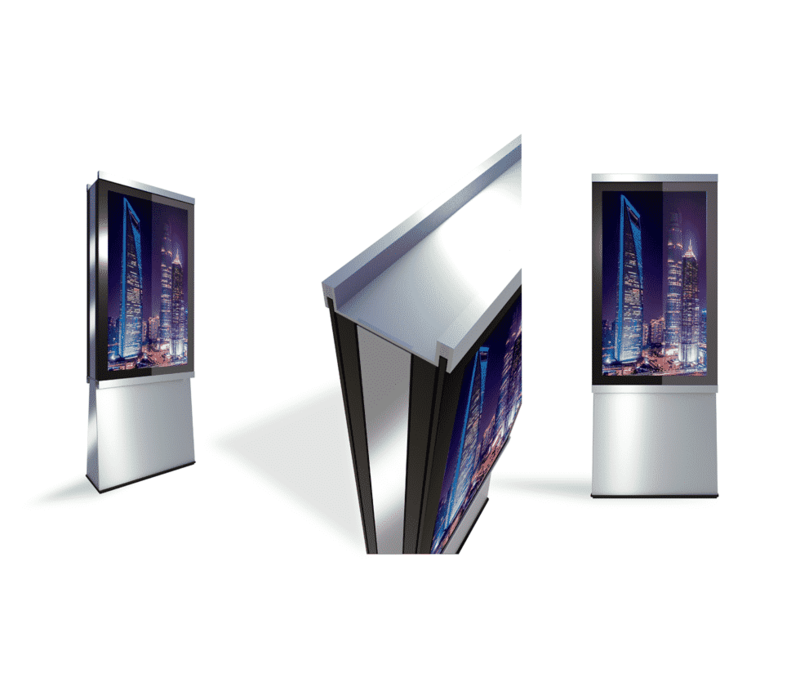 Comes with a slim, floor-mounted bottom profile. Message to everyone, coming and going, with this slick, minimalist two-sided display, fitted with a uniquely tapered base. Perfect for busy walkways and concourses. Get your messages out on large displays that reflect the familiar, friendly design of modern smartphones, with gentle, rounded corners and black glass fascia. Available in wall, podium or totem versions. 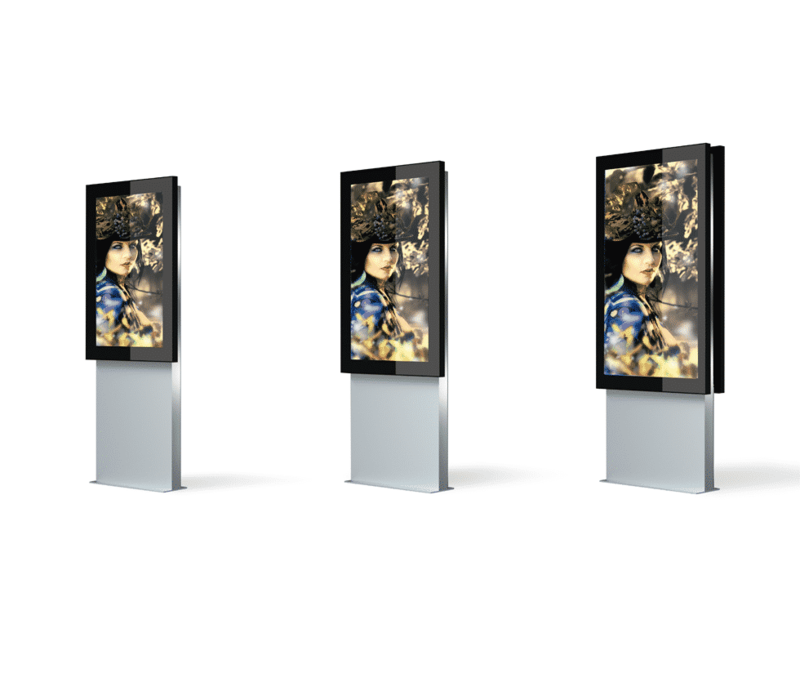 The F Series is a simplified, more minimal variation on the E Series – with totem and pedestal versions ready for use in digital poster, directory, wayfinding and promotional applications. 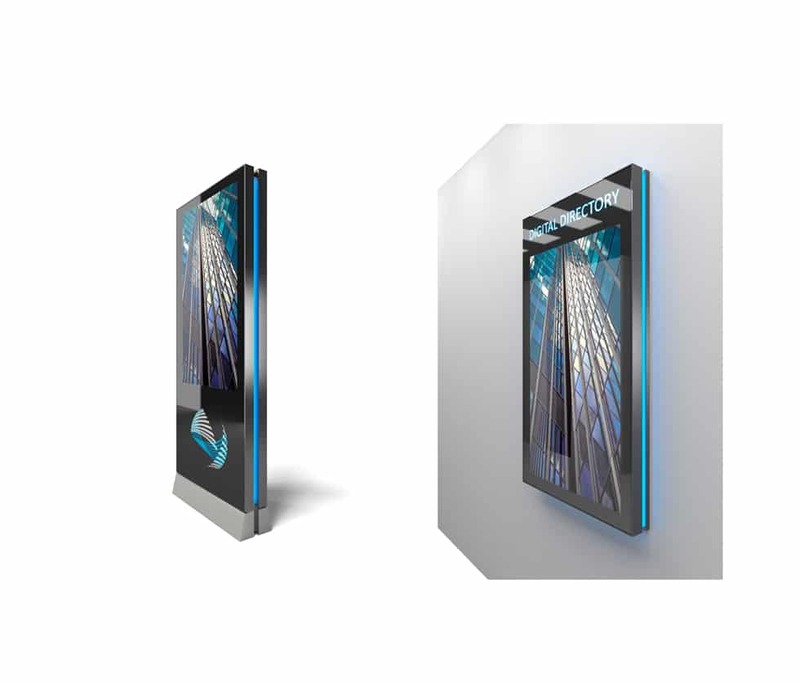 Draw attention to totem or wall mounted displays with LED halo edge lighting that’s built into the display enclosures. LEDs are low energy additions but have a big visual impact. There’s no rule that says displays and enclosures have to be charcoal black or dark stainless steel. Lighten up your wall mounted or totem displays. 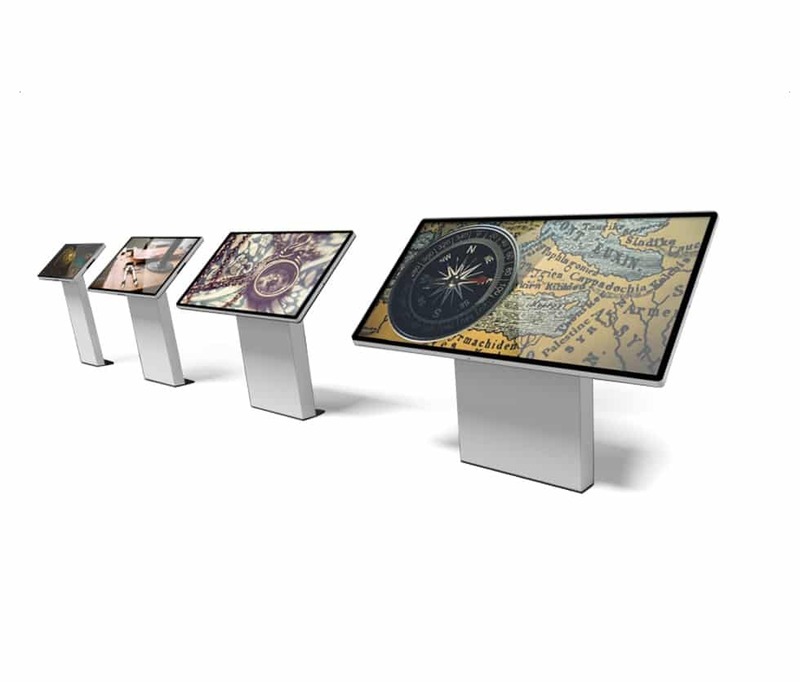 Limit the physical footprint for your interactive touchscreen services with a counter or pedestal-mounted display. Touch is built-in, as is the PC. 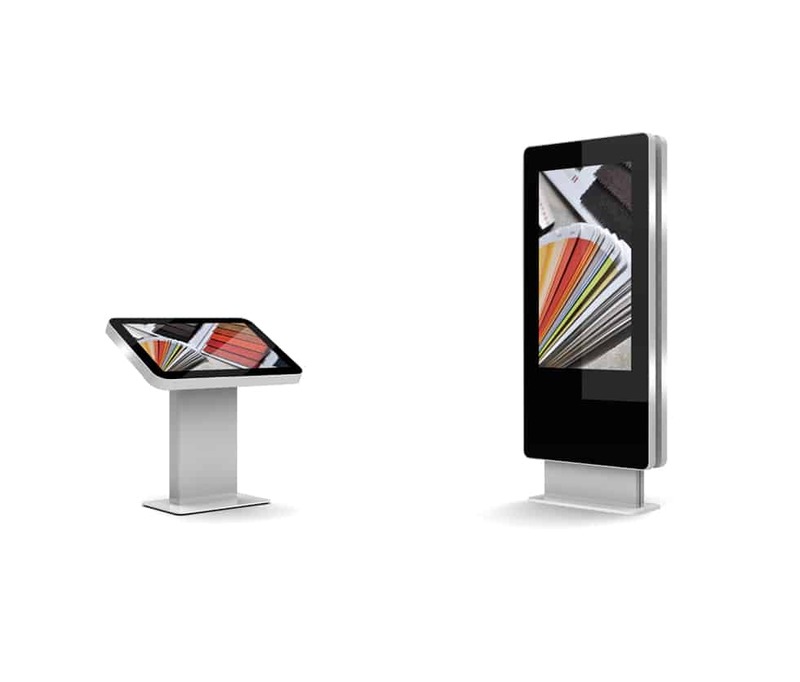 Go as big as necessary with your touchscreen directory or wayfinding mapping. This draftsman table-style series comes in a variety of displays sizes, support by a sleek, sturdy base.